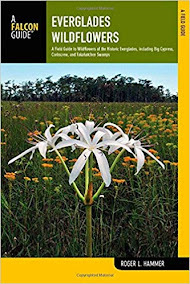 A study funded by money awarded from a Florida Native Plant Society Research Grant was selected for publication in the prestigious American Journal of Botanythis September. Two biologists from the University of Alabama, Darah Newell and Ashley Morris conducted extensive research in Florida on an endemic plant, the Illicium parviflorum, commonly known by the name Yellow anise. The big money usually goes to the rarer plants, says Shirely Denton, an FNPS board member. 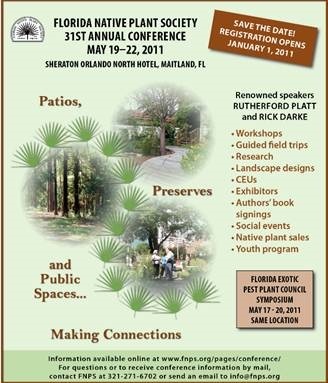 Join us in May, 2011 for this exciting and comprehensive conference that connects Florida's natural values and conservation with the landscapes that we create in our personal and public environments. Registration begins 01/01/11 with discounts offered to FNPS members. Now's a good time to join as our chapters have started their programs for the season. Then by the time May rolls around, you'll have a head start. See https://www.fnps.org/pages/conference/ for a preliminary list of field trips, social activities and workshops. The conference offers opporunities for sponsors and vendors. Search and destroy! This was the mission for four hours on a Sunday afternoon, carried out by a group of 12 teens and 6 members of the Ixia chapter of the Florida Native Plant Society, covering Duval, Clay & Nassau Counties. The teens were members of the Jacksonville Teens Volunteer program, which is sponsored by the Jewish Community Alliance (JCA), and earned four hours of community service, plus they learned a lot about invasive plants. Walter Jones Historical Park, on the eastern bank of the St. Johns River in the Mandarin section of Jacksonville, houses a restored farmhouse and various outbuildings. There are some remaining citrus plants and other cultivars left over from its farming days. For more information, visit http://www.mandarinmuseum.net/. FNPS officers from all corners of the state met earlier this month at Turkey Lake State Park outside Orlando. Discussions covered a wide range of topics: exciting new projects were being considered at the same time hard decisions had to be made over funding issues. The Suwannee River Water Management District has continued to sell off surplus lands that many think are important for conservation. After FNPS wrote a letter of protest, the DEP did, too, and so did Gov. Crist, but to no avail. At this point, the District is engaged in adopting a rule that defines their concept of what "surplus" means, after which further action (filing suit) can be taken by others. Too many native mangrove stands have been removed from the edges of Florida's waterways over decades of development, and as a result shorelines are more vulnerable to tropical storms and our native bird and fish populations are in steep decline. Mangroves growing in thickets along tropical and sub-tropical shorelines absorb the wave action from open waters, build new land as they slow down and hold onto passing sediment, and create fabulous habitat for many types of wildlife. Many types of birds inhabit mangrove thickets and some of them are endangered or have declining populations. Some examples are roseate spoonbills, limpkins, white ibis, herons, bitterns, anhingas, osprey, peregrine falcons, and bald eagles. Mangroves are so important for the health of the shorelines that Florida has passed regulations to govern their treatment. We mentioned mangroves last week as one of Florida's important water resources and habitats in We ALL Live in a Watershed! 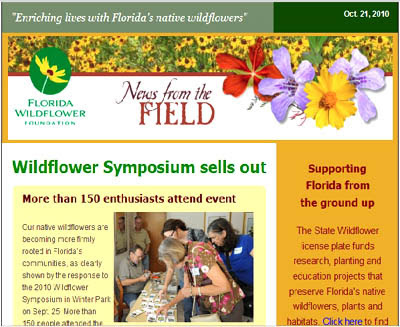 Read thenewsletter and be sure to download the Fall Gazette with lots of great information such as: a full report of the sold-out symposium; "Fall color, Florida" style by Jeff Norcini; The Foundation's partnership with the Scenic Highway program; "Fall in the wildflower garden" by Claudia Larson; fall garden jobs, including how to collect wildflower seeds; and a plant profile of the partridge pea. 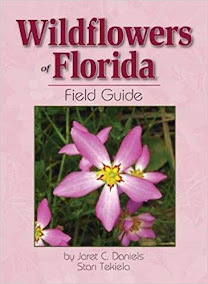 You can also read our report of the wildflower symposium that we posted here last month. Many people enjoy planting “odd” things in their yards. 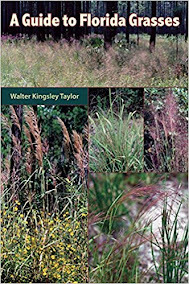 In the world of native plant landscaping, this has often meant planting things that seem unusual … and what this has often meant is planting species that may be “native” based on occurring naturally somewhere in the state or in some landscape other than the one we’re working on. I’ve been there. Sometimes, I still can’t resist the beautiful plant in a pot that is being sold at the latest native plant sale. But, over time, I’ve had the opportunity to rethink this. North-central Florida has been blessed with fantastic and seemingly endless crystal-clear springs. The Floridan aquifer is close to the surface in this area and water pressure caused by water percolating into the limestone formations already filled with water flows to the surface. Some springs discharge more than 65 million gallons of water per day. Several state parks have been located to include these springs. 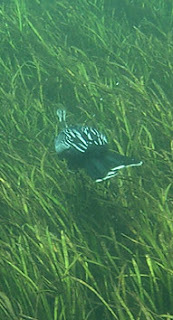 The springs support many types of wildlife: fish, water birds, snakes, turtles, and the placid manatees. The anhingas, aka snake birds, are particularly fun to watch as they spear their fishy prey with their beaks underwater and then come to the surface where they expertly flip the fish from their beaks into their gullets. You can see the lump in their long necks as the fish slide down. See DEP's websitewww.floridasprings.org/ for more information, diagrams, and educational materials on Florida's fantastic springs. Okay! Now let’s talk about the real Right Plants! In fact the whole world is waking up to the fact that native plants are critical elements in the great jenga tower of existence, not quaint items we would like to catalog in a museum. 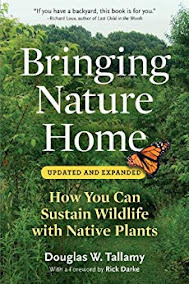 If you need the statistics and the whole argument, please read Doug Tallamy’s book, Bringing Nature Home. 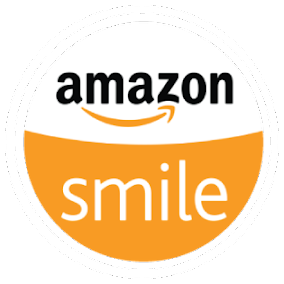 You can read a summary and a review right here on the bottom of our homepage. You can read a simple explanation on Wildlife Garden’s blog page from last week. 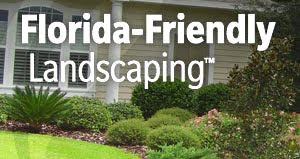 This is Part 2 of an interview with Mike Thomas, Ph.D., P.E., who works at the Florida DEP, about the Florida Friendly Landscaping program. Link to Part 1 here, where we asked Mike about primary objectives of the Florida-Friendly program and its law (HB2080), rain gardens, and Tallahassee's TAPP (Think About Personal Pollution) program. 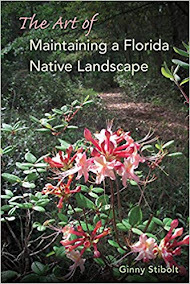 5) There is quite a bit about landscape design included in the new, 104-page online and print book (The Florida-Friendly Landscaping™ Guide to Plant Selection & Landscape Design). Who is the intended audience and how will you market it? The primary target of the new book is the homeowner, but the highest priority is the HOA landscape and architectural control committees, so they will have a good reference to what many FFL options look like. 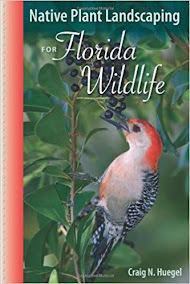 ﻿﻿Our own Loret T. Setters, an active member of our Pine Lily Chapter, has joined the great new group blog Wildlife Garden with her first post, When Choosing Plants, Think Food Chain. When she participates in outreach programs, she usually collects interesting bugs and other critters from her yard to take with her. She displays them in jars with their favorite food and proper humidity and they serve as conversation starters. Later she releases them back into her yard. At a recent event, someone remarked that not many folks could come up with eight different critters so quickly. Well, she's planned her landscape so lots of bugs have access to their favorite foods. And if you want to invite birds to your yard, first you invite the bugs! Read her post and follow her on Twitter. She has a wonderful, chatty writing style and we're sure that folks all over the country are looking forward to her next set of observations. Thanks Loret; you represent us well. You may have heard the term "Florida-Friendly" used in articles about the controversial law (HB2080) that passed last year and in presentations by your agriculture agents, and you may even have visited the Florida Yards website. I thought I was fairly well educated on the topic, but when I met Mike Thomas in Tallahassee earlier this year on my book tour, I realized that there was so much more to think about. 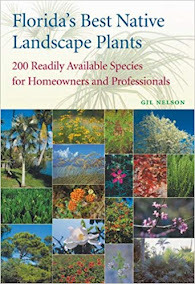 And now with the new 104-page book, "Florida Friendly Landscaping," I thought you'd be interested in knowing more, too. This is Part 1 of my interview with Mike. Please feel free to ask more questions and leave your comments. Thanks for reading. “What is that sweet smell?” I wondered, as I walked the trail on our property with our lumbering Lab, Max. Just a subtle, gentle odor of something recognizable; perhaps the dog brushed against something as we walked. 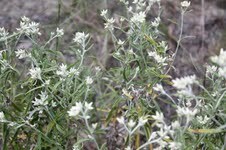 Ah, then I noticed it—Gnaphalium obtusifolium, recently renamed Pseudognaphaliumobtusifolium, and commonly called sweet everlasting. This is one of my favorite end-of-summer native species of the Asteraceae family. And it’s more than a fragrant delight. Sweet everlasting has a solid history as medicinal ally. Linnaeus named this genus in 1753, according to Daniel Austin in FloridaEthnobotany. Native people mixed the plant with smoking tobacco, and even Julia Morton in FolkRemedies of the Low Country (1974) noted its use in pipes by “old timers” in the southeast. Learn the news at our society; read a message from our new president; and see pictures of the red admiral butterfly in its various stages. Did you know that the red admiral rarely visits flowers for nectar, but feeds on sap and decaying vegetation instead?